What if I fail? What if I chase my dream and it doesn’t work out? What if she doesn’t like me? What if he rejects my apology? What if I get hurt again? 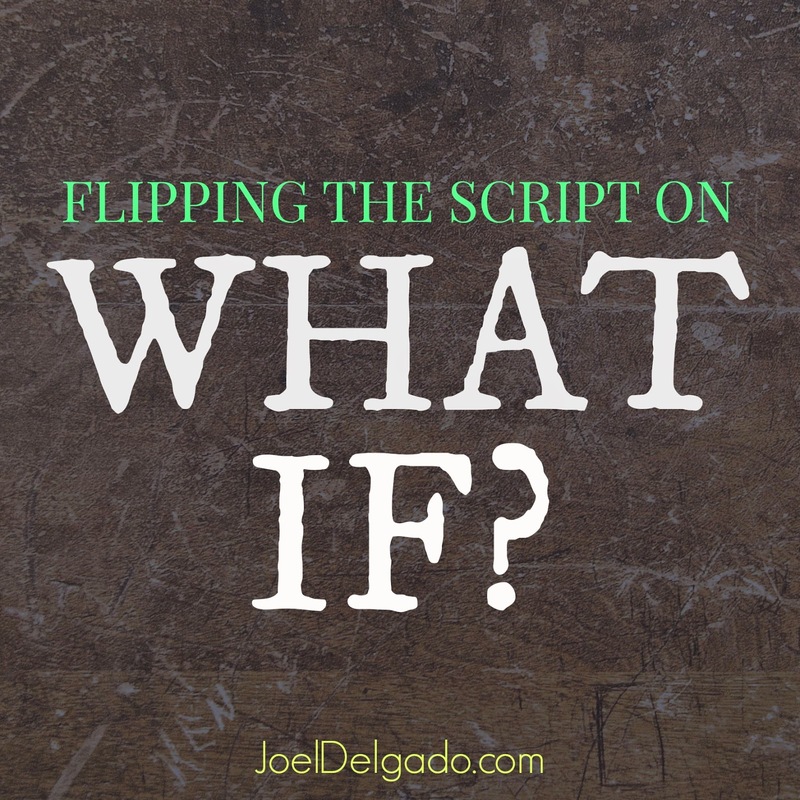 What if I had done things differently before? Whenever I start to think about going after something, those are usually the kind of ‘What If’ questions that show up on the scene like evil firemen dispatched to douse the flames of inspiration, excitement and courage. 1. They remind us of our past and handcuff us with regret. 2. They dampen our present by drowning us in doubt. 3. They rob us of our future by filling us with fear and expecting the worst. When the ‘What Ifs’ you ask focus on a past you can’t change or jump straight to worst-case-scenarios for the future, you’ll freeze up and settle for average. Every time. And then you’ll regret the missed opportunities and unpursued dreams you left on the table later on. But what if (pun sort of intended) we flipped the script? Almost a decade ago, some leaders in the heart of Texas asked a different kind of ‘What If’ question -- one that ended up changing my life forever. Some of the leadership at Fellowship Church, based in the Dallas-Fort Worth area, asked ‘What if we opened a campus in Miami?’ They asked the question, prayed about it and then stepped out in faith. In the summer of 2006, the doors opened to a new campus in South Miami. A few months later I walked through those doors and, for the first time, found a church where I could grow in my faith, serve God and others, and get plugged into a community of people passionate about reaching out to people far from God. Our ‘What Ifs’ should inspire us to make a change in the world around us. They should fuel our passions. They should fill us with excitement and anticipation for what is to come. They should stretch us and inspire us to pray audacious prayers and dream big dreams. What if I started praying for my future family today? What if I started serving at my church? What if I invited my friend to church and they came? What if I decided to go back to school and finish my degree? What if I started to get my finances in order so I can give more generously? What if I set an example in my household for what it means to live a life dedicated to following Christ? How different would our lives be if we asked those kind of 'What If' questions and then stepped out in faith to see how God responds? That was really good. Thank you for the encouragement.